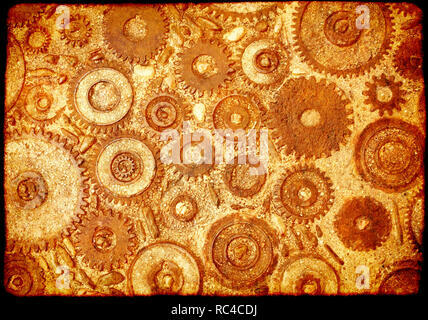 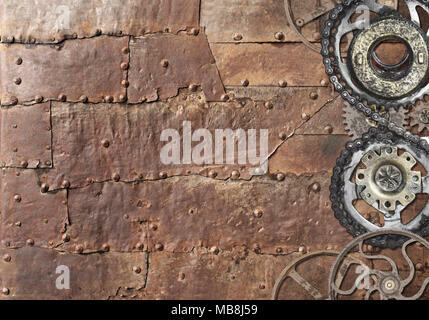 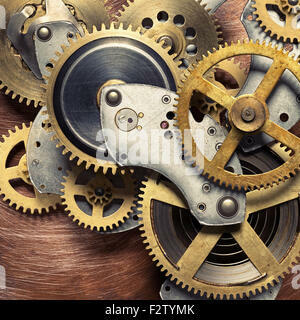 Clockwork mechanism collage on copper background made of metal gears, brass plate. 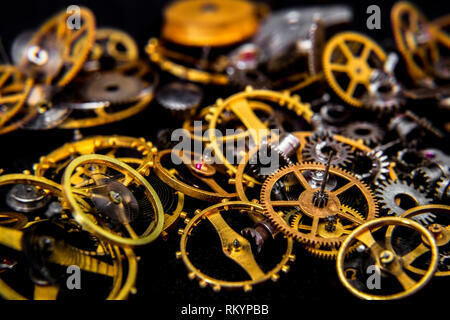 A box of clock parts after it was taken apart and containing the cog wheels. 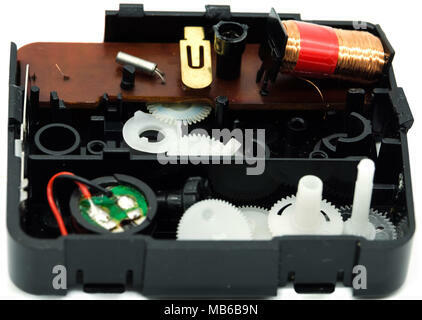 Ancient circuit board and resister. 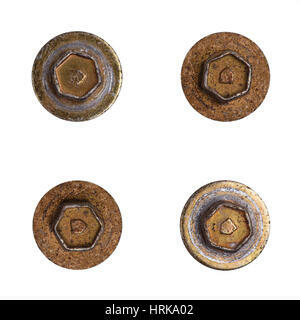 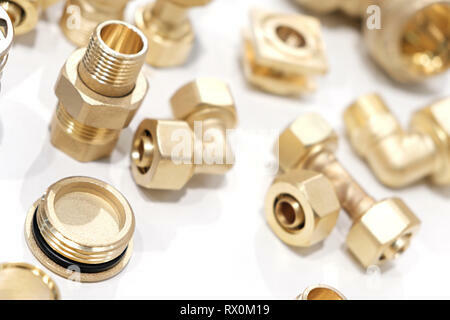 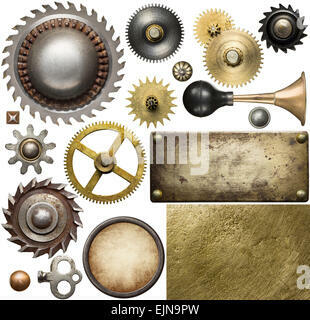 Screw heads, gears, textures and other metal details. 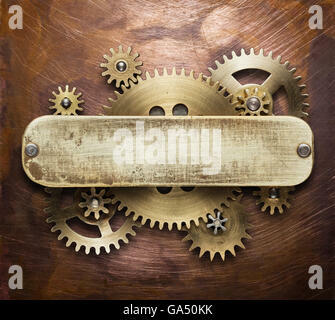 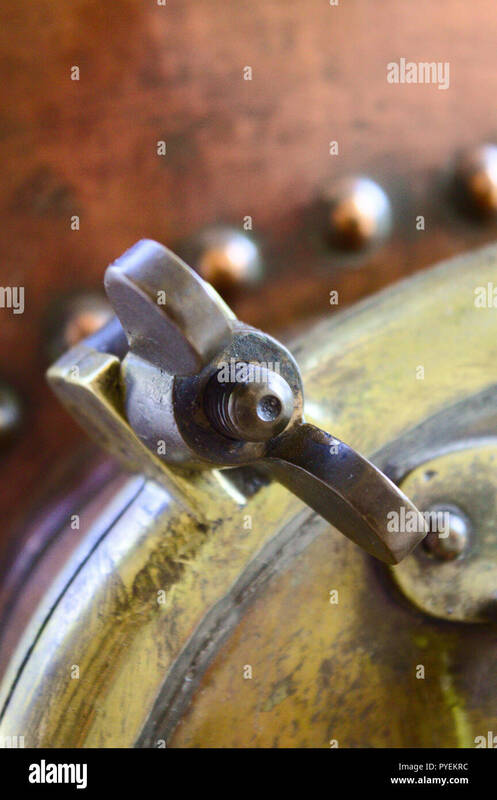 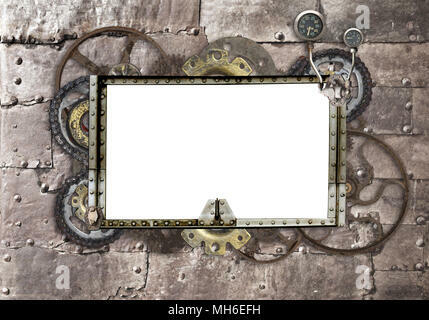 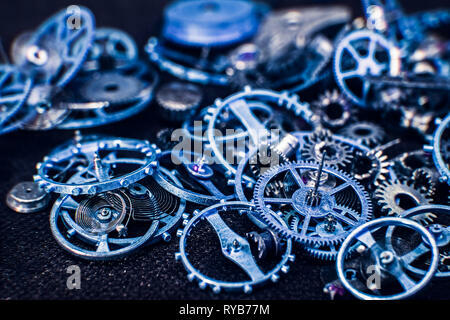 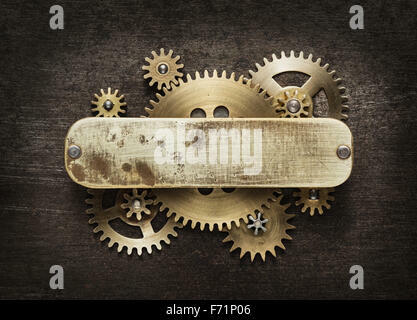 Clockwork mechanism background made of metal gears and brass plate.